Last week I had the exciting, terrifying, and overall satisfying experience of buying my first vehicle from a dealership instead of a family member. Needless to say, I had no idea what to do after signing the bill of sale. How do I transfer the registration? Do I just bring my old plate and drive off the lot? Help me!, what do I do!? Fortunately, I know the amazing Najla Hussein. A quick email was all that it took to have my questions answered and the registration transfer started. The speed at which she responded to my inquiry was simply incredible, and I had answers to all of my questions within about an hour. Not only that, but she helped me to feel a little bit less clueless by assuring me with the line "No need to be sorry — and nothing is obvious with registry services." 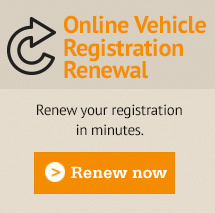 I would have been tremendously happy with her help already at this point, but she went even a step further to point out that my registration was due to expire next month, and that if I wanted we could just do the renewal now so that I would not have to worry about forgetting next month. 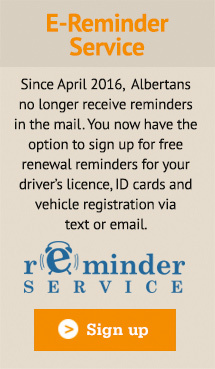 On top of this, I was able to set up an email and text alert for my registration and license renewal/expiry as letters are no longer sent out for these reminders. As a millennial, I truly appreciate the fact that this reminder will come in a form that can reach me anywhere, at any time. We have had the pleasure of working with Najla Hussein at Alberta Service Bureau for quite some time. Alberta Service Bureau takes care all of SC Systems' Corporate Registry needs. They are great to work with and we are lucky to have Najla working by our side. 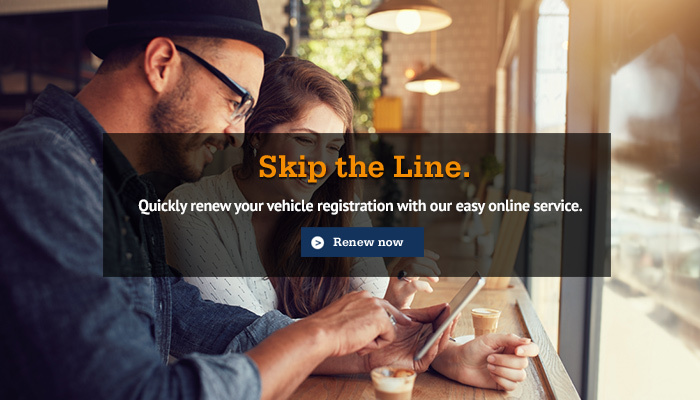 Alberta Service Bureau really simplifies the process of us doing corporate registrations, vehicle registrations, record searches or any inquiries that would otherwise be painful and time consuming had we had gone through any other registry. We have experienced the contrast of other registries a number of other times and Alberta Service Bureau wins head and shoulders above the competition! Alberta Service Bureau focuses on service, it's in the name! They are prompt, customer orientated, and really make things simple. We are even able to care of a lot of matter simply over email or telephone, which makes our lives a lot easier and reduces our administrative costs significantly. 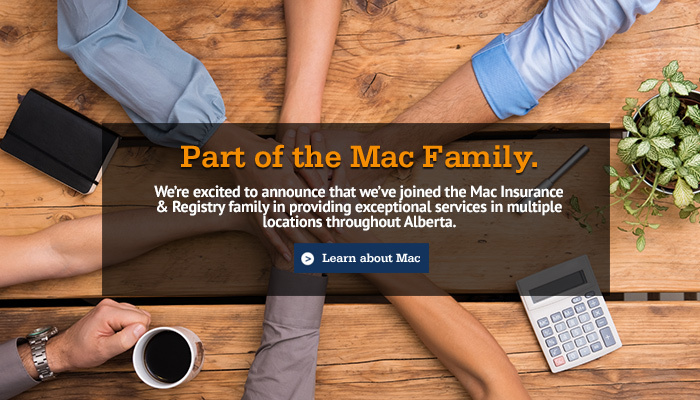 At SC Systems, we would like to simplify the management and experience that our clients have when it comes to technology and we're lucky to say that Alberta Service Bureau does exactly the same when it comes to corporate registries. 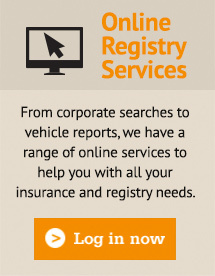 We would strongly recommend Alberta Service Bureau for all of your corporate registry needs moving forward. Since I have used, Najla, at Alberta Service Bureau, and having used other registries before, I can honestly say her professionalism, and willingness to assist with whatever she can is second to none. It really is amazing the difference one feels with being serviced well on transactions, and just being looked after. Her friendliness and prompt action are key, and keep earning my support. Thanks so much Najla, for making my life easier, and my saving time. I would like to say it was a pleasure dealing with you, I had a great experience. The traffic was not bad, I had no problem finding a parking spot, your office was accessible through the walkways, and best of all you have a huge staff, there was no line up. I managed to register 2 cars and renew my driver’s licence, with a new photo in about 10 minutes. You changed my mind about down town businesses, and about where I get my registration’s done. I will look into the many other services you provide, and recommend you to my friends. Thanks again Najla I will see you soon. We have used their services for years. 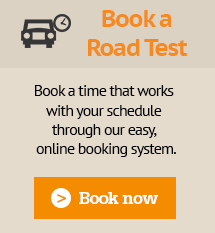 They have always provided excellent service. Lately we have been doing more online searches and have been dealing with Melanie. She is fast, pleasant and helpful. Fern Auger @ A. C. Waring & Associates.